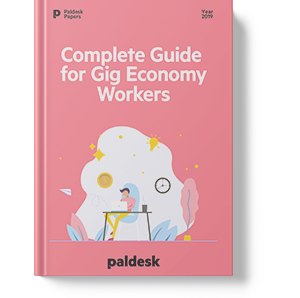 Learn how to stay ahead in the evolving gig economy? Whether you are a copywriter earning your paycheck over Freelancer.com, craftsman selling goods on Shopify or an Uber drive – you are a piece of the gig economy puzzle. Read this e-book to gain strategic advantage in your skillset and stay ahead of the demanding market.